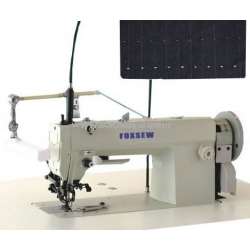 Features: Easy to operate, step the pedal to begin the sewing. 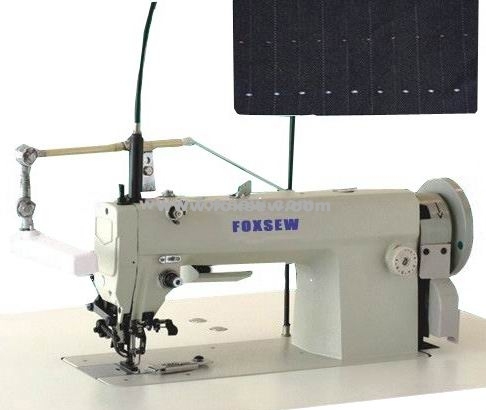 Change the adjustment dial positioning at the right side of the machine head to adjust the length of pin-point and stitch length conveniently and quickly. Put the thread in the beard shape with ease and efficiency with the design of bearded needle and the usage cycle of needle will be much longer. Feed material in the same step both upper and lower, sewing becomes easier, cloth material won't be creased, length of stitch distance will be kept even. Wide working table makes the sewing much easier. Adopt effective positioning motor to regulate sewing speed at will, it is more convenient when turning or placing thread.